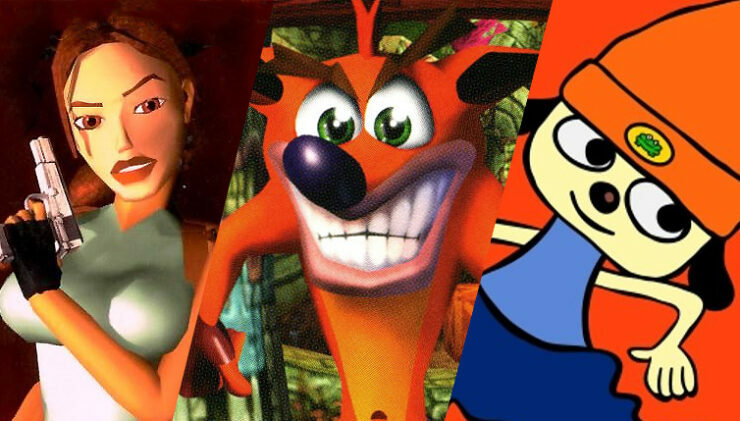 The PlayStation Classic’s lineup of 20 games leaves something to be desired. Sure, the mini-console contains legit greats like Metal Gear Solid and Final Fantasy VII, but where the heck is Crash Bandicoot? And Gran Turismo? And PaRappa the Rapper? And the list goes on! Well, some folks have been poking around in the PlayStation Classic source code, and have found evidence Sony tested a much wider and more appealing lineup of PS1 favorites. Filenames for 36 additional games have been found – Twitter user AlphaFoxWarefare posted the full list. Chocobo’s Mystery Dungeon, Colin McRae Rally, Crash Bandicoot, Crash Bandicoot 2, Toy Story 2, Driver, Ehrgeiz, Fighting Force, Gran Turismo, Grand Theft Auto 2, Harry Potter and the Philosopher’s Stone, Kagero: Deception II, Klonoa, Kula World, Legacy of Kain: Soul Reaver, Medal of Honor, MediEvil, Mega Man Legends, Mr. Driller G, Paca Paca Passion, PaRappa the Rapper, Parasite Eve, RayStorm, Ridge Racer, Silent Hill, Spec Ops: Stealth Patrol, Street Fighter Alpha 3, Street Fighter EX Plus a, Suikoden, Tomb Raider, Tomb Raider II, Tomba, Tony Hawk’s Pro Skater 2, Vagrant Story, Wild Arms 2, and Xevious 3D. Contrary to some early reports, full versions of these games aren’t hidden in the PlayStation Classic – only their file names and menu entries are on the console. That said, it does indicate Sony at least tested all these games. So, why didn’t they make the cut? In some cases, like Tony Hawk 2, it was probably a licensing issue, while games like Crash Bandicoot and GTA 2 were probably held back by their publishers for various reason. But why the heck aren’t Gran Turismo or PaRappa the Rapper on the system? Who knows? If you were in charge of picking the PlayStation Classic lineup, what games would you choose?